The Timberwolf wood stove Economizer™ 2200 EPA proposed by The Fireplace Element provides consumers with an economical solution to ever rising heat expenses. 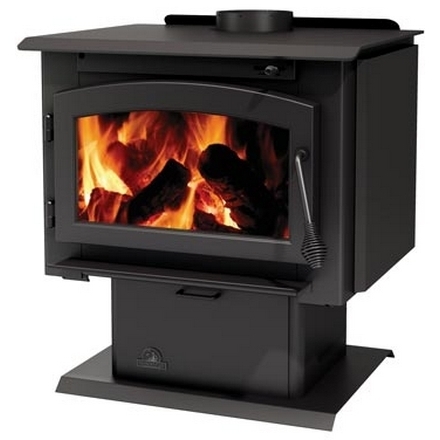 The Timberwolf 2200 free standing wood stove provides you with great value for your money and the opportunity to heat your cosy home sweet home at the lowest price possible. With this stove, you'll benefit from an outstanding 85.5% efficiency rating, with heat power radiating from 1000 to 2000 sq. ft.